On February 15, 2019, as Nigeria eagerly and uncertainly waited to go to the polls the following day in elections that no one was sure was going to be free, fair and credible, elections with little or no guaranteed level playing ground, as it seemed, I wrote from my heart, not my head. Through the vessel of my pen flowed the liquid substance of my life, my blood, not ink. I wrote like a dying citizen to a dying nation. A nation yet alive enough to feel and perceive the grim realities of her helplessness. Like a man clutching desperately to the residual breath of life, the breath beyond the last breath, beneath the ‘black sea,’ I wrote to an almost ‘lifeless’ system, yet somewhat organic enough to exhibit some identifiable and measurable but resigned response to some unwholesome and shameful stimuli in the Nigerian polity. About the election. About our socioeconomic and political putrefying sores. Our national haemorrhage and sordid political decomposition unbearably offensive to the senses. Our disoriented disposition and precarious position as sheep being led to the slaughter, without the right and power to object, complain or escape. Our enchanted position as objectified elements conditioned for some fetishistic appeasement. In the political. Politics in our nation and continent, from the perspective and experiences of many, over many generations, across ethnic groups and religions, is indeed a black industry menacingly thriving in the darkest recesses of the earth. We were all caught up and caged in a fearful situation of electoral uncertainty and national resignation. I pontificated with those Nigerians into whose objective minds truth could force itself. I craved, I cried, I called for free, fair, and credible elections. However, it is very regrettable that between the power to think and analyse and the statutory power to tinker and execute ideals lies the courage to chart our chosen courses by those virtues, values and ideals. And, for Africa and the developing world, within this chasm lies the dominant insensitive Machiavellian and corrupt political class that preaches an endless, overwhelming and extreme ‘no morality in politics’ sermon. A conscience-silencing aphorism that strengthens the skewed hands of the initiated, hoodwinked, self-centred and flint-like-focused politicians, to act with little or no regard for and consideration of the consuming pain and strangulating suffering of the citizenry, and to gladden the seeming fiendish countenances and soulless emotions of the lords and servants of this political Hades, a bottomless source from where our national and continental sorrows and regrets proceed ‘seamlessly’. These exist in the political quarters of both divides in Nigeria, and many more, in Africa. Though a remnant still exists, late and living, of somewhat and relatively considerate and sane members of the political class. True statesmen and women. True nationalists. True pan-Africanists. The Nelson Mandelas, the Goodluck Jonathans, the Kenneth Kaundas. Yes, the Olusegun Obasanjos, the Umaru Yar’Aduas, the Abdou Dioufs, the Julius Nyereres (Baba wa taifa, Mwalimu Nyerere), etc. In my view. In my patriotic emotions. In my objective pessimism and heaviness, ‘inspired’ or informed by the benefit of hindsight and history, I saw the emptiness and harrowingness of the Presidential and National Assembly elections in Nigeria, earlier slated for February 16, 2019. The hope-dimming and demoralising experiences at the Governorship elections in Osun and Ekiti states in 2018 (where many, especially of the stock of the opposition, strongly felt that caution was thrown to the wind and ‘might’ became ‘right’) were a precursor to fearful and unwholesome practices to be expected. And I wrote to entreat the President, our President Muhammadu Buhari, an apostle of the anti-corruption crusade, who most probably did not read the article. 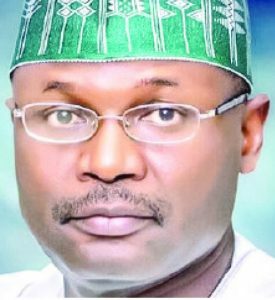 I appealed to the electoral body, INEC, which, obviously, and though seemingly helplessly but by choice and resignation or abdication, was gravitating between the whims, subtle manipulations and outright dictates of certain powers and personalities that be, and that cannot be ignored on the one hand and a prism and colouration of electoral conduct that could fairly appear acceptable or defensible, no matter how controversial and no matter how glaringly suspect and flawed, even in the prized analytical estimation of objective or dispassionate thinkers and observers, on the other hand. And I called on Nigerians who individually or sectionally belonged to any of the three groups of my categorised political followership, the ideologically-bent followers, the bandwagon hero-worship followers, and the helpless, subjugated, resigned followers, to make free, fair, and credible elections possible. Wonder how many read and heeded. Though the elections, earlier slated to commence by 8am, on February 16, were postponed at about 2:45am on the same date, just about five hours to commencement, a first, not worthy of mention and celebration, in our recent Nigerian political history. In our Africa (it is also the first time the electoral body in Nigeria is headed by someone from the same ethno-religious domain with the President, who appointed him), but they have eventually come and gone. Scoring another first as the elections with the longest delayed result in the history of Nigeria, apart from the June 12, 1993, election. For the presidential and National Assembly, the governorship and State Assembly elections as well, with alleged unprecedented manipulations, by both dominant parties, with surprises, shocks, and expected outcomes. With accusations and counter-accusations between the Peoples Democratic Party (PDP) and the ruling party, All Progressives Congres (APC). Congratulations to deserving winners on their victories. Condolences to less successful candidates. I fear. So will it be as we march towards the 2023 general election. As an aside. I wish to advise politicians from Southern part of Nigeria to forget the presidency by 2023. The North is not in a hurry to relinquish the office. And they have their reasons for that. Except by Divine will and intervention, the North will still retain the presidency beyond 2023. Citing subtle betrayal of the principle of rotation by the PDP and a Southern dominated presidency between 1999 and 2015. The South can only get there again through a truly democratic process such as the one of 2015, and by Divine will. This is my informed opinion. Not of prophecy. Not of privileged position. I have none. The 2019 electoral battles, fought on grounds of stones, rocks, swamps, winding ways, and slopes, is considered presently lost and won with controversies. With tirades. With bleeding consciences. With mortgaged consciences. With hardened consciences, if ever there was the knowledge of God. If ever there was a living conscience, and if ever there could be a godly spark in all we do in the industry of politics in Africa. Call to mind the avalanche or intolerant and repressive political culture and behaviour. Lack of tolerance for the opposition. Lack of constitutionality and rule of law. Lack of credibility and fairness. In Nigeria, what appears difficult to determine in the just concluded elections is which group is greater in number, the mourners or the celebrants. Today, Atiku, the man a great many had thought would win the election, but who, in the estimation of Nigerians, not a few, circumstantially, helplessly and bureaucratically happened to have lost, as announced by INEC, has decided to, and indeed, adopted the last option, the situationally helpless option, the last hope of the common man’s approach, by filing for legal determination on the validity or otherwise of the ventures and verdict of INEC. As Atiku approaches the tribunal, every perceptive observer would do well to discern and faithfully ‘deconstruct’ the imminent proceedings from the birth of a daunting determination doggedly directed at redeeming and reclaiming what is considered by many as a denied, or is it a misdirected sceptre or mandate, as it is poised to go up to the Supreme Court. To reclaim a supposedly defrauded, denied and ‘abandoned’ mandate, supposedly defrauded him by the ruling and equally contending party, denied him by INEC, and unfortunately forgotten and abandoned by some of his fair-weather friends and followers who now feel, within an unimaginable short while, while the ‘hurly-burly’ is hardly done, that there is no need to keep on identifying with a seemingly failed project, a shattered dream or a sinking boat. Our spinelessness towards endurance is our vulnerability to further manipulation and subjugation: an ever-unfailing and unassailable weapon irresistibly used by power-mongers in the history of African politics in general and Nigeria’s corrupt and seemingly incurable selfish political culture and leadership in particular. A debased culture despised and castigated by genuine transformational leadership and global citizenship ideals. Despised by genuine democracy and legitimacy. No government, local, state or federal, that comes into place through a perceived controversial or questionable process and deemed, rightly or wrongly, to have legitimacy issue can under any condition afford to provide transformational leadership. And no leader(s), born or made, worth their salt would want to be part of such government. Such a leader, if he or she is a leader indeed, cannot function effectively with conscience, principle and ideals in such government. No building, no matter how beautiful, can provide a lasting reliable shelter and security if such building is standing on a faulty foundation. Such is government. Little wonder Africa wanders in the mire and quagmire of legitimacy and lack of sense and sensors of direction. While it may be considered of sound morality and positive judgment to deprecate those seeming ideologically infantile bandwagon and opportunistic followers who have overtly or covertly gone back or chosen not to further identify with Atiku on account of a perceived bleak political and economic future for pecuniary motivations, as we see everywhere in Africa, where hunger, deprivation, uncertainty and fear have castrated the people and robbed them of their humanity and honour, while we endlessly call on the ruling party and government to create an enabling ground for justice, notwithstanding the fact that previous calls for transparently free, fair, and credible elections to be held appeared not heeded in the estimation of a helpless many, and while we call on INEC to remember that, as we all know that economic mistakes can be corrected with time and policies, sociocultural mistakes can be corrected with time, education, history and orientation, that educational mistakes can be corrected with policies, etc, but political mistakes that have kept Nigeria where it is today, after about six decades of independence, are never easily corrected; it is very important for stakeholders to know that the ruler we help to put in power today can lay a foundation for a century’s destabilisation, ruin and sorrow in a nation or the world. Ask our colonial masters. Ask our founding fathers. Ask our ethno-religious leaders. Refer to my letter to National Council of State (Nigeria). They will tell you that if they had known the consequences of what eventually turned out to be the political mistakes they had made they would never have made them, whatever the compulsion, except they knew what eggs they were hatching. Our respected elder statesman Obasanjo, judging by his change of camp, must be regretting the role he played in 2015. In the eyes of many. The world has suffered untold problems on account of these mistakes. Or perceived mistakes. Even in developed nations, it does happen. Even in the United States of America. Many who believe in the original American dream and the unadulterated ideals of America’s founding fathers and her strong religious foundation and relationship with Israel still believe that the election of a former leader as president, former president, remains one of the greatest mistakes in the political history of America. This may be subjective, though. The present-day America, peopled by modern generations of mixed multitudes (largely of direct and indirect beneficiaries of the immigration benevolence of America, migrant people whose true motives and intentions towards America still remain unknown to America, and known only to them and God, consider the likes of some new Congressmen and women whose vituperations run counter to American ideals, people who never laboured and sweated for America’s greatness in the first place, but who today fiercely want to re-write America’s laws and foreign policy, and play a dominant role in deciding the governance and future of America, a fearful situation indeed), may find this very objectionable. In the light of this, INEC should allow the unvarnished truth to prevail in the course of this legal banter. Let the true wish and will of the people not be suppressed. It does have consequences. Either in the present or near future. INEC can. But will it? As Atiku or any politically marginalised individual approaches the court, it is transformational leadership that is going to be on trial, inspirational, integrating, credible and courageous leadership that brings about a creative change with staying, sticking, and lasting positive effect on the political process and practice at the local, state and national levels. Transformational leadership promotes democratic and global citizenship ideals that grant everyone equal opportunity, the benefit of fair hearing, justice and acceptance. These ideals have been unpardonably, seemingly irredeemably, and destructively undermined in socio-political and economic leadership in Africa, with a disenchanting and shameful taciturnity and despicable diplomatic eloquence, a degrading conspiracy within a cult of African leaders. It is a situation where African leaders are busy endorsing and honouring one another and themselves through the instrumentality of highly compromised and helpless African Union, ECOWAS, and other sub-regional and national bodies. We cannot as a nation spend our whole lives loud-mouthing about governance and leadership at state, national and continental levels when we do not have an iota of courage and selflessness to inspire the people. Allow freedom of expression, and let the true will of the people and the rule of law prevail. And be seen by all and sundry to be prevailing. Allow the system to flow as it should without manipulation and executive brigandism. We cannot claim to be providing leadership when we are afraid of the lasting ability or staying power of our legacies and changes, because we know that successive administrations may overturn them, even with the support of the people, not on account of mere political differences, but on account of lack of their sticking or staying power because they are lacking in engaging democratic ideals and inclusiveness, inspiration, motivation, intellectual challenge and globalisation. As Atiku goes to court, it is the sensitivity or otherwise of the leadership to the pulse of the nation that is on trial. Transformational leadership begins with coming to terms with the present need requiring attention, or a system requiring to be fixed. That, in turn, demands discernment, awareness, and meta-awareness from the leadership. The leadership that cares little or nothing about the suffering, sentiments, and demands of the people is neither transformational nor people-oriented. It is a mockery of democracy. It is very disheartening that even when great words from bleeding patriotic hearts are penned down, the deceitful veil of the frills and thrills of the paraphernalia of power and political office does not allow both the leadership and its advisers to consider. Words and write-ups that forced the colonialists back to their homelands and compel leaders in civilised climes to quit in shame or embrace true democratic ideals and transformational leadership, when objectively and patriotically directed at our African leaders, are like refreshing drops of water on the bodies of such leaders in Africa. We are immune to even the best of constructive criticisms and damaging scandals just as we are immune to mosquito bites and malaria in tropical Africa. This is not leadership. As Atiku or any other politically defrauded or marginalised individual from any political party goes to court, it is the globally-applauded policy of fighting corruption, a policy championed by the present administration in Nigeria under President Buhari that will be on trial. Injustice is corruption. Covering up the truth is corruption. Miscarriage of justice is corruption. These were part of the corrupt practices President Buhari was allegedly unjustly subjected to when he contested in 2007. I saw the frustration and great disappointment on the face of Buhari’s lead counsel, Chief Mike Ahamba (SAN), as he sat helplessly and watched the justices of the Supreme Court swerve and prevaricate. But President Buhari has come to fight corruption, the world applauds him for that. Let it be harped on the mountains and proclaimed on the hills and in the valleys that miscarriage of justice is huge corruption. Will corruption prevail and triumph in this case? Will corruption be used to decimate Atiku’s litigation and what is considered, in the opinion of many, a deserved justice? To destroy the controversially presumed will of the people? Will an administration that claims to be mortally averse to corruption deliberately orchestrate and benefit from officially endorsed and executed corruption in the corridors of justice? That is not expected to be. It is not President Buhari’s acclaimed trademark. Pity, he may be too busy with State matters to read through this. As Atiku and others of both parties go to court, it is the entire judiciary (considered rightly or wrongly by the people, based on recent events as), the persecuted judiciary, the decimated judiciary, the blackmailed judiciary, the intimidated judiciary, the humiliated judiciary, the demystified judiciary, the divided judiciary, the ‘dollarised’ judiciary, the fearful judiciary that is on trial. If those who accord unto themselves the revered status of ‘the learned,’ eventually do prevaricate and equivocate on the simple logic of identity and reality, by hiding under the shrubs of some spuriously purposeful legalism and legalities, garnished and conveyed with professional phrases and punctuated with incidental technicalities, to further accord themselves the garb of honourable dispensers of justice as they compulsorily and or compulsively self-hoodwink unto substantial justice, equity and transformational leadership, and further raise the piling record of injustice in Nigeria; if those who deservedly assume the intimidating and glamourising toga of intellectualism; and if those who traverse and crisscross land, sea, and sky to brandish hard-earned attestations and credentials from Harvard, Cambridge, Oxford, Nsukka, Ibadan, Zaria, and others, cannot have the courage to speak the truth to Nigeria, to Africa, and to the world in this and other legal battles, then there is no enlightenment, revelation, and true knowledge in our education. Knowledge without truth. Emancipating truth. Transformative truth. Is not very useful. Can we still believe in the system? Can we still believe in the judiciary? Can we have hope on, though, a downtrodden but endearing, a demystified but deft and daring, a divided but dutiful and down-to-earth, a devalued but still somewhat dependable system? A system of glorified bar and glamourised but politically gagged bench that has been terminally infected with the virus of ethno-religious politics? Yes. Even though the system may be compromised, there are still very many individual dependable and incorruptible judges and lawyers who can still hold their heads high anywhere in the world and make Nigeria, and the legal profession proud. Therefore, those who have already concluded that Atiku cannot win at the court are wrong. To argue otherwise would mean they have succeeded in doing one thing: judged the Nigerian judiciary as the most corrupt, most unprofessional, most undependable, and the number one enemy of its own system, the judiciary. As Atiku goes to court, it is a historical clarion call to defend the Constitution, in solidum. A note of caution here is considered timely and appropriate. President Buhari, a man who had fought for the corporate existence of this nation, and who unrelentingly preaches against corruption at any level, his advisers, INEC and the judiciary should understand perfectly that a desecration of a minute fraction of the Constitution, is an unmitigated desecration of the entire document. And, since the Constitution is the only document defining the existence of a united, corporate Nigeria, such desecration is an extended nullification of Nigeria, as a nation, it could be strongly argued. Without the document, the Constitution of the Federal Republic of Nigeria, there is no Nigeria. Undermining it, therefore, is undermining the corporate existence of the nation. Even beyond the present litigation and political complexity, no well-informed leader who knows the relationship between the Constitution and Nigeria, should dream of toying with a minute part or the whole of it. As Atiku goes to court, let the rule of law prevail. Let the judiciary regain its lost autonomy and glory. Let this INEC not go down in history as the most compromised, inefficient, and haemorrhaging electoral umpire, the no. 1 umpire of inconclusive and or flawed elections in Africa. Above all, let globalisation and genuine transformative leadership ideals prevail, and be seen to prevail. • Onyedi is founder/president, Diamond-Crest for Youth Education Foundation. Email: [email protected]; +2347060760601.